This wall sculpture art installation series creates wonderful negative space with the circular shapes and can be custom created to fill any space. 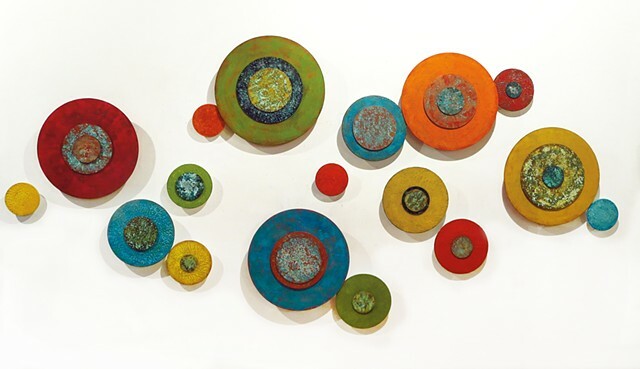 Abstracted, modern circle paintings with encaustic paint are elevated from the wall as sculpture. The bright color palette is sophisticated and will complement your modern interior.